Tate Britain has announced that it is hosting a major retrospective work from legendary British photographer Sir Don McCullin. Celebrated as one of Great Britain’s most exceptional photographers, McCullin has seized images of conflict from across the globe, including Vietnam, Northern Ireland, Lebanon and Biafra. The exhibition will run from tomorrow, 5th February, to the 6th May 2019 at Tate Britain. 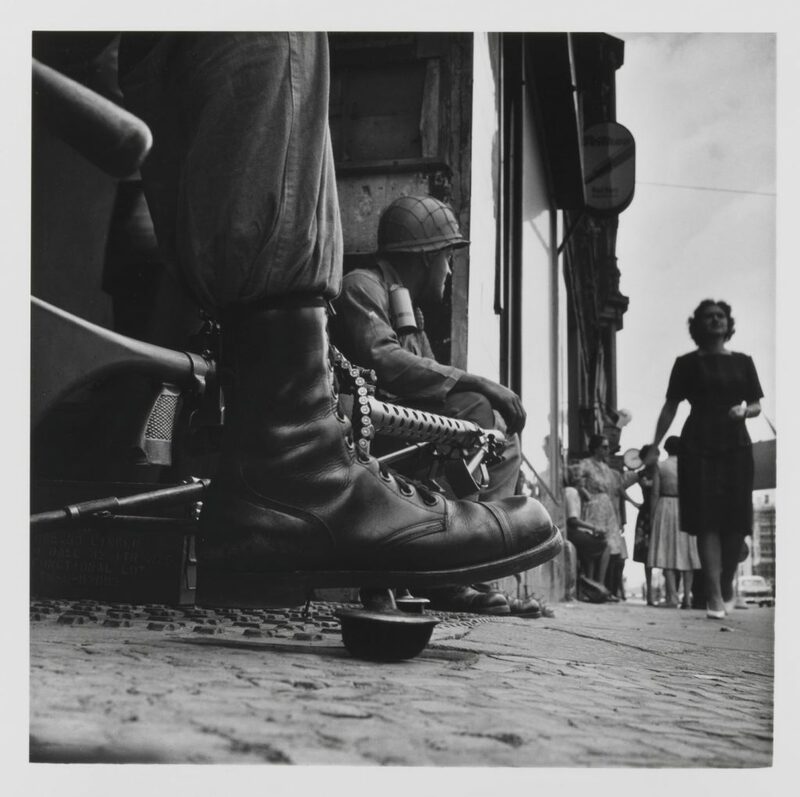 Don McCullin – Near Checkpoint Charlie, Berlin 1961 © Don McCullin. 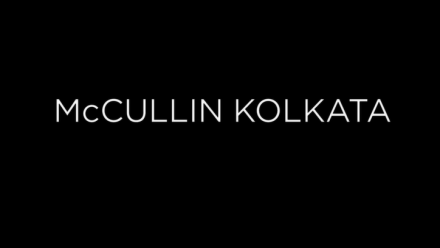 Often taken at great personal risk, the collection of stunning photographs will be displayed beside McCullin’s work in documentary photography, his travel assignments and his long term engagement with landscape and still life. Over 250 photographs, all printed by the artist himself in his own darkroom, this new exhibition is a unique opportunity to see the breadth and accomplishments of McCullin’s incredible career. 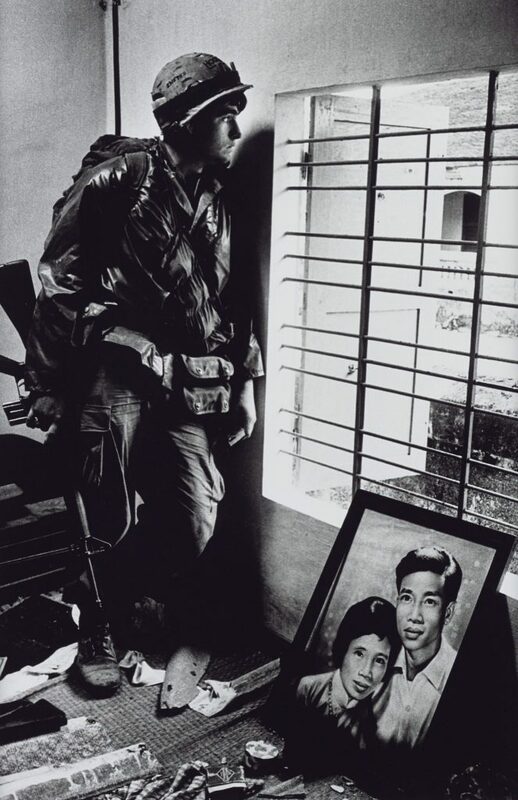 Don McCullin The Battle for the City of Hue, South Vietnam, US Marine Inside Civilian House 1968, printed 2013 ARTIST ROOMS Tate and National Galleries of Scotland © Don McCullin. Sir Don McCullin began shooting in the 1950s, documenting his surroundings and the local community in his native Finsbury Park, London. In 1958 his photograph ‘The Guvnors’, a portrait of a notorious local gang, was published in The Observer, launching his career as a photojournalist. Working first for The Observer and then The Sunday Times Magazine, Don went on to capture major conflicts around the world from Vietnam and the Congo to Cyprus and Beirut. This new show includes some of McCullin’s most iconic photographs including Shell-shocked US Marine, The Battle of Hue 1968, Starving Twenty Four Year Old Mother with Child, Biafra 1968 and Northern Ireland, The Bogside, Londonderry 1971. Alongside McCullin’s hand-printed silver gelatin prints, the exhibition also includes the photographer’s magazine spreads, contact sheets, his helmet and the Nikon camera which took a bullet for him in Cambodia. 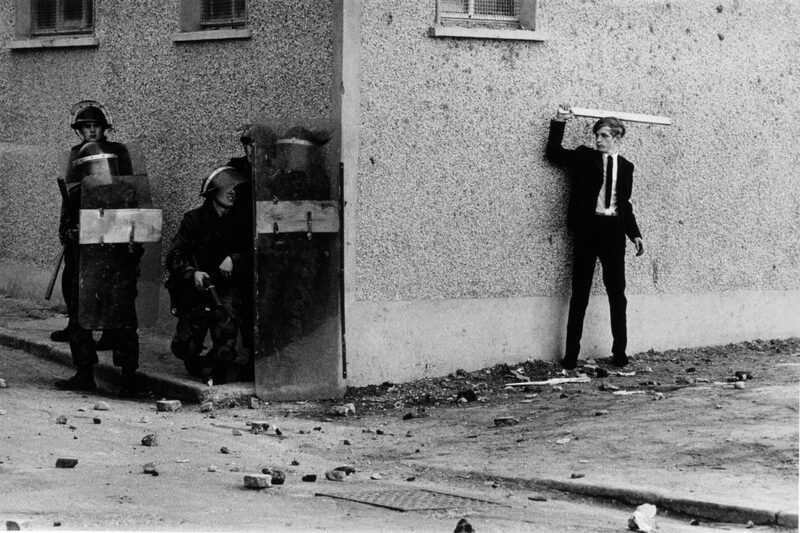 Northern Ireland, The Bogside, Londonderry 1971 © Don McCullin. 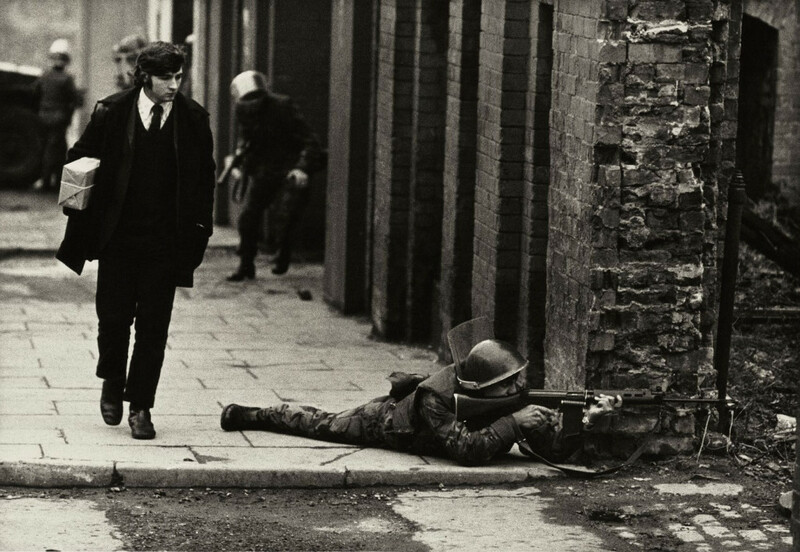 Londonderry 1971 © Don McCullin. Whilst Sir Don has been best known as a photojournalist and war correspondent, he has also produced an extensive body of work shot in Britain, depicting scenes of poverty and working-class life in London’s East End and the north of England. From the homeless and disenfranchised population of Whitechapel in the 1970s to the industrial landscapes of Bradford, Liverpool and Durham, McCullin has exposed changing social conditions in the UK. These works are shown alongside other photographs taken around the country, including character studies of people at the seaside and at Ascot. 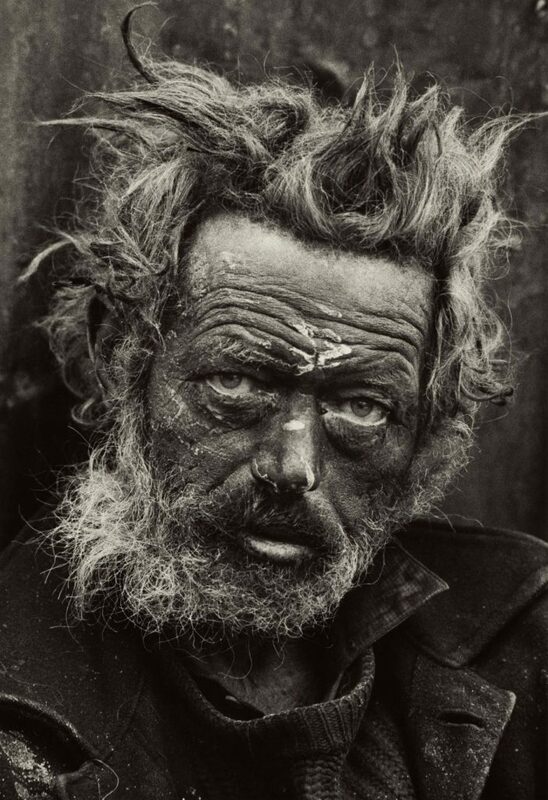 Homeless Irishman, Spitalfields, London 1935 © Don McCullin. 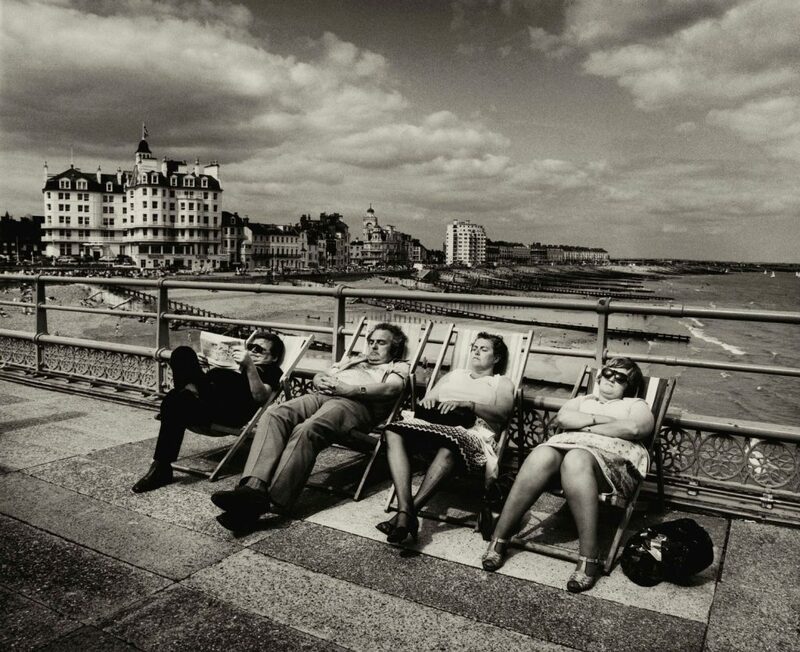 Seaside pier on the south coast, Eastbourne, UK 1970s © Don McCullin. 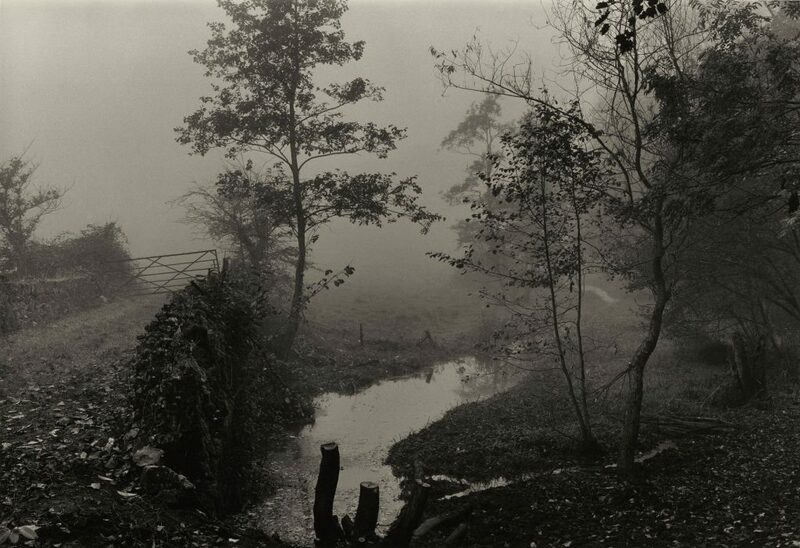 Woods near My House, Somerset, c.1991 © Don McCullin. McCullin’s most recent work for his ongoing project ‘Southern Frontiers’ connects the two key strands of his work: conflict and landscape. For years, McCullin has been documenting the physical remains of the Roman Empire in the north African and Levantine landscapes, including the ancient site of Palmyra. He returned to Syria last year to document the deliberate destruction and demolitions undertaken by the so-called Islamic State. The exhibition ends with these powerful works including The theatre on the Roman city of Palmyra, partly destroyed by Islamic State fighters 2017. The new exhibition, ‘Don McCullin’ is curated by Simon Baker, Director of The Maison Européene de la Photographie, Paris, with Shoair Mavlian, Director of Photoworks, assisted by Aïcha Mehrez, Assistant Curator of Contemporary British Art, Tate Britain. It is accompanied by a fully illustrated catalogue and a programme of talks and events in the gallery. Find out more at Tate’s website.